Mobile gaming is quickly becoming the standard of modern gaming, and we’re starting to see more advanced games on the various app markets. From 3D shooters to traditional platforms, game developers are turning to the mobile market as their new distribution platform. The problem with mobile games is that not all smartphones are made the same. Some less powerful processors, while others may be lacking in RAM. The quality of the touchscreen, along with the responsiveness of the operating can all play a large part in how well the phone performs. For those looking for the very best smartphones for mobile gaming, these are the best on the market right now. Razer is a dedicated gaming company that has been a part of the PC world for years, and has released a number of fantastic gaming accessories. The Razer Phone 2 is a phone designed specifically to run games at high-quality, and it shows. 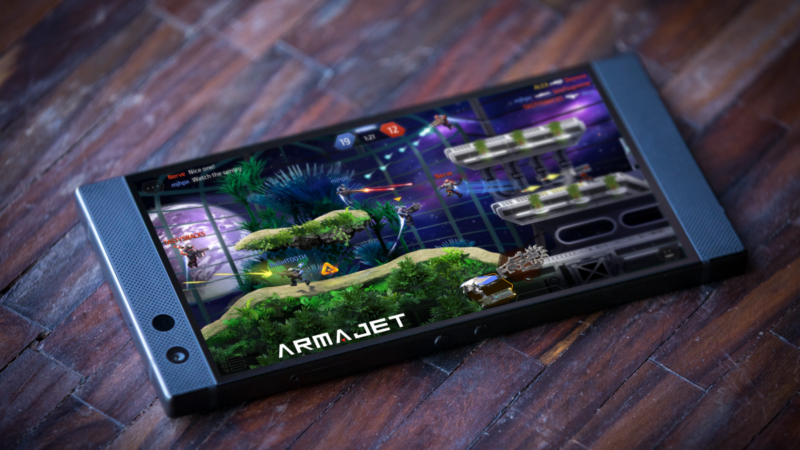 With a 5.72 inch screen, 2560×1440 resolution perfect for anything ranging from new 3D games to Canadian slots online, and a CPU that consists of the Snapdragon 845, there are few other phones that can handle 3D graphics quite as well. The phone also comes with a backside logo with millions of RGB hues that makes it truly unique in a flooded market. Not everyone is a fan of the iPhone series, but there’s no denying that they’re still incredibly powerful, even to this day. The gaming app ecosystem on the iPhone X is second-to-none, which is backed up its large 5.8 inch screen, A11 Bionic CPI, and 3GB of RAM. It also has one of the best screens on the market, made up of a resolution of 1125×2436, it’s one of the few phones around that can boast a maximised OLED screen. While not technically a smartphone and not quite a tablet, this phablet is the perfect combination of both worlds, and is a must for those looking for a powerful device with a large screen. Released in August of this year, the Note 9 comes with Android 8.1, a 6.4 inch screen that boasts a 2960×144 resolution, and a CPU of either the Snapdragon 845 or the Exynos 9810. A choice of either 6 or 8 GB of RAM is available, and up to 1TB of extended storage with a memory card. It’s powerful processor, along with one of the most beautiful displays on the market means that it’s among the very best choices when it comes to modern mobile gaming. Despite all the competition, the original smart phone series is still the best of the best. The latest iteration, which comes in the form of the XS Max, is a marvel of modern mobile engineering. The phone comes with a 6.5 inch screen, 4 GB of RAM, and the A12 Bionic chip, which is considered the best chip in the world for mobile games.